This article was first published in AikidoEurope, the publication organ of the Europen Aikido Federation. The article was taken from the English text on the https://aikidosphere.com/nt-e-educator website. The technique commission of the European Aikido Federation has been recently set up. At the same time as a body of rules are drawn up and titles are distributed of Shihan, Shidoin or Fukushidoin, Pierre Chassang thinks it would be a good idea for me to define what is an instructor. Although I have taught for years this proposition causes me much surprise. In fact, I have never been asked what an instructor is. You must excuse me. What is an instructor, what type of man is he and what must he do? The question has undeniably risen with the first man and will only disappear with the last one. It is the question posed to oneself to which one replies oneself and always, eternally, without response. 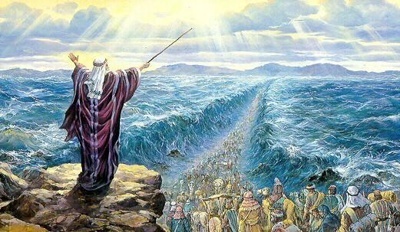 Moses is certainly the first leader of men in history that we know. How did he lead his people of Israel across the desert? What must have been his thoughts at that moment? How did he arrive at his decision? What happened in his mind, the solitaire? Undoubtedly there are two sorts of leaders of men or instructors.Those who know the road which leads to where they want to go because they already know the way, and those who know the aim to be achieved but not the path which leads to it. The first is, for example, the mountain guide: he knows the route to follow, every difficulty, every dangerous passage. With certainty, he will lead his client to the intended place. Like Moses, the second type obeys a divine relation. He receives the order to go and marches toward the objective indicated in ignorance of the course like a group of explorers venturing into the unknown, except that there again is a group animated by a common desire which renders by this fact things easier. On the other hand, Moses, as far as he is concerned, is alone. The least small error or fault compromises the life of all. The most complete planning – study, study and study again. Training every day. Revitalizing. All have their limits. Beyond them is the black hole. The darkness. Weather, accidents, and illnesses are unforeseeable. The teacher of Aikido is a leader of men of the Moses type, at least in my opinion. 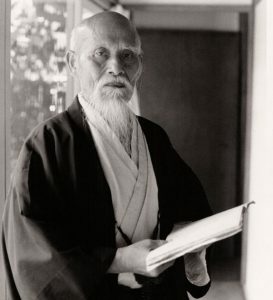 Incontestably Master Ueshiba was at the summit of Aikido, but we of the valley who would look to the summit of the mountain have but a small image of him. Myself, I believe in marching behind O’Sensei but only a short rest is enough to breathe for example, and O’Sensei has already moved very far away. Thus I know the way. I see the path but things remain to be done and thus it is I do not know them. It is a little like a Treasure Island on old maps. But on the maps of today, the island is not shown which could mean it does not exist. However, you know that it exists and that it conceals a treasure. Fortified with your knowledge you set off. In this case, the responsibility of the captain is enormous. The sea, the currents, the weather are also obstacles which must be surmounted. Despite all the experience you may possess, unknown difficulties will present themselves. One must nevertheless go forward although the necessity for exact judgment appears, in taking a decision, for the union of all in the same direction. It is only on this condition that the aim will perhaps be achieved. We have tried to put together all the human forces, the part that remains is that of divine intervention, which is to say that departure taken it only remains to go forward. The captain will be a man who has the courage of his convictions, he will be experienced, intuitive, maintaining the unity of the crew himself and the crew being but one, like a father and his son for example. The captain thinks, must think as the crew and the crew works in the captain’s way, it can not be otherwise. The captain will know how to give the appropriate orders, the crew will understand their captain. The captain and his crew making nothing but the harmony of the group and the whole may in this way attain their aim. But all this is the work of the captain. It reminds me of the grandmaster of tea Rukyu who is accustomed to say speaking of the tea ceremony, “it is in summer like a breath of fresh air; in winter a gentle feeling of warmth, the charcoal is only there to heat perfectly the water, the tea only for the pleasure of drinking.” I will give you the secret of the tea ceremony. If you think it is easy to create I advise you to try it. The ordinary thing, banal, apparently easy, natural to create is difficult. To make a guest happy, for he who is thirsty, you give a large bowl with much weak tea and not too hot; for he who is not thirsty a stronger tea in less quantity and hot. You act thus for the pleasure of your guests. One must follow the wishes of the guest and sense them. 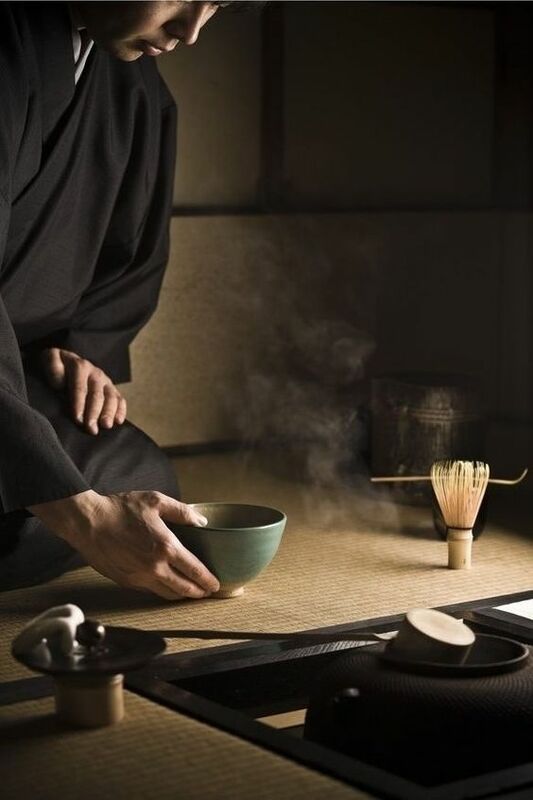 The frame of mind is the secret of the tea ceremony, it is the heart of the teacher of Aikido.